They're out there and they're waiting for you. Interview questions shouldn't give you the same kind of butterflies as, say, bungee jumping blind-folded off of a hundred-story building. 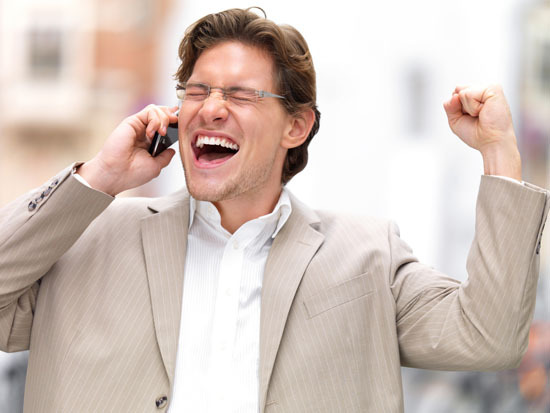 Rather, interviews should be an exciting experience since they offer new opportunities. The questions an interviewer asks are meant to get to know you better, not feel like an interrogation. There are some interviewers out there who might ask trick-like questions just to test you such as, "If you could chose to be animal, which would it be?" Doesn't sound so scary but it can be in an interview when you least expect it. Remember, in interviews there is no "wrong" or "right" answer, but there is a "best" answer which is easiest to think of with a cool head. 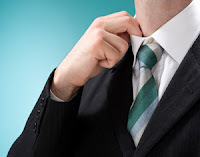 So before you start slathering your underarms with deodorant on your way to your next interview, check out some of these tips to ease your nerves and keep your sweat glands at bay. This is the easiest one. Take a metaphorical chill pill by doing a few simple exercises. First, moderate your breathing. If you keep your breathing at slow, steady pace it will keep your heart from beating out of your chest which adds intensity to your nervousness. If even ceasing to breathe completely doesn't lower your heart rate try to put the interview out of mind until you actually enter the meeting. Over-thinking it prior to arrival is part of the cause of your nerves. Instead of thinking about it like you're heading to defend yourself in trial, imagine you're going on a first date or meeting up with a new room mate--something that's new and exciting, not scary. The more casual you feel going into it, the better your mind can focus on the interview rather than keeping your composure. This guy, nervous?! Not a chance! There's nothing more awkward than an awkward silence and in an interview the feeling is mutual. Don't sit there in silence after being asked a question and then blurt out an answer. And whatever you do don't fill the silence with a drawn-out "ummm...." Talk out your thinking and let the interviewer see your thought process. This can also give them a chance to help walk you through it if you're struggling. Show thoroughness in your thinking and it will make a good impression. 3) HONESTY = BEST POLICY. It's true. Interviewers have heard it all so don't assume that you'll be able to get anything past them. If you don't know something, don't pretend to. Liars, cheaters, fakers...they all go into the same undesirable category for a new hire candidate. Unless the job description demands that you know everything, then simply answer as best you can with what you do know. If you're simply stumped just say so, that doesn't necessarily mean you're disqualified. The interviewer will still appreciate your honesty and that counts for something. In many cases, it's a rare trait.